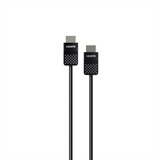 The High-Speed HDMI Cable seamlessly transmits audio and video from any HDMI-enabled device to your HDTV. You can enjoy exceptional video and audio from an HDMI-enabled laptop, media player, or gaming console on your home HDTV. Compatible devices include MacBooks, ultrabooks, laptops, AV components, Blu-ray players, DVD players, cable boxes, and gaming consoles. 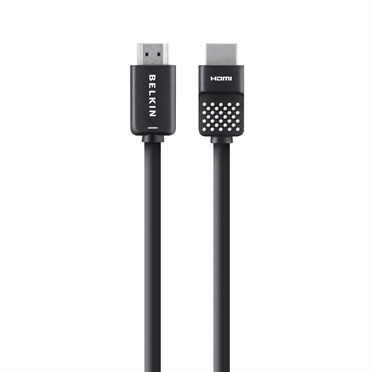 With support for 4K cinema resolution, this HDMI cable offers exceptionally rich detail. High-quality connectors minimize signal loss for uninterrupted streaming, while two-layer shielding restricts outside interference for flawless conversion. The cable is also equipped for 3D video, Full HD, and 7.1 digital surround sound. 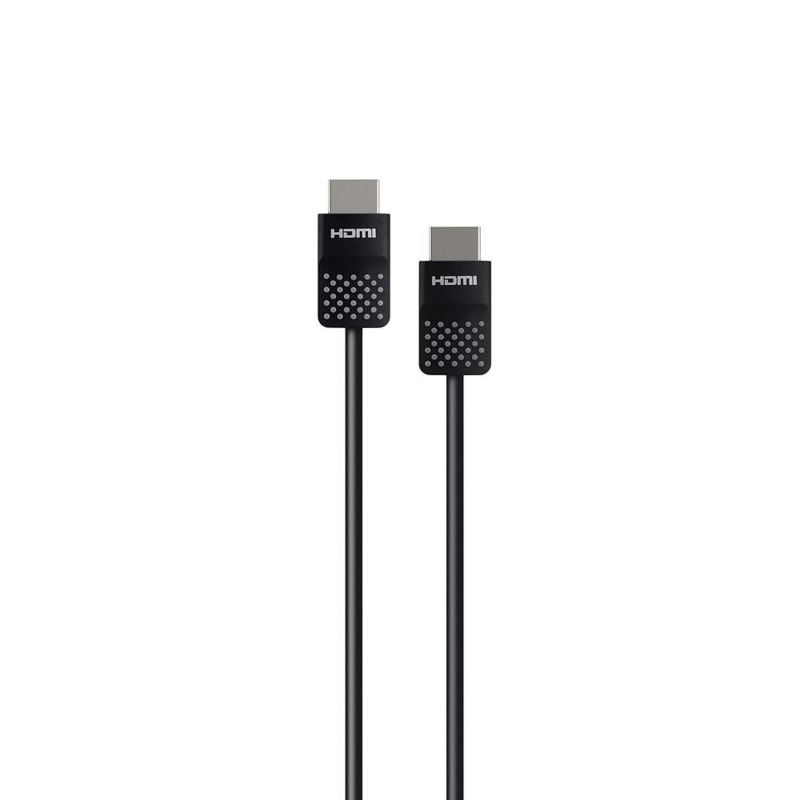 Not only does the High-Speed HDMI Cable transmit exceptional high-quality video and audio, it also has an Ethernet channel. This makes it ideal for connecting Internet-enabled devices such as a smart TV, Roku media player, or Apple TV, without having to run a separate Ethernet cable to your router for each of your devices. The HDMI cable has a 10.2 Gbps+ speed rating, which reduces buffer time when watching online movies.